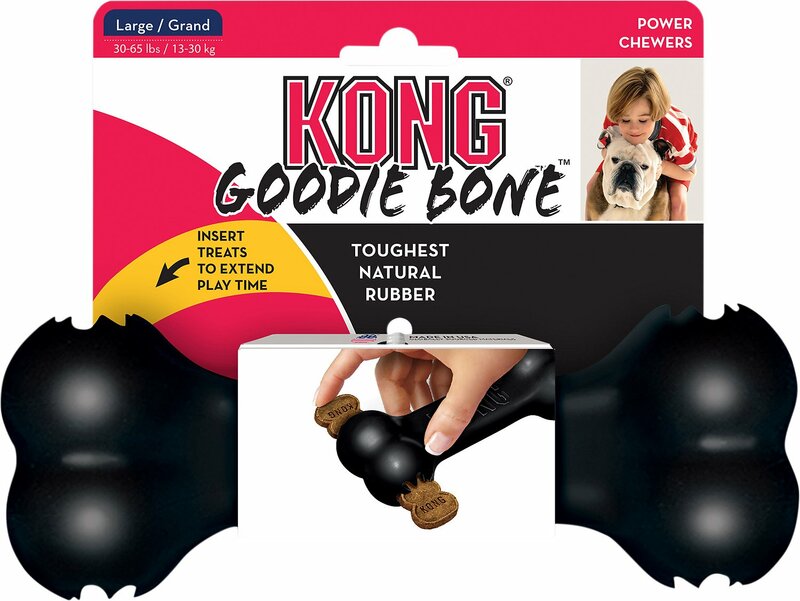 Give your furry friend a challenge with the KONG Extreme Goodie Bone Dog Toy. Made from all-natural black rubber, this toy features two Goodie Grippers for pet parents to fill with kibble, treats or peanut butter to add more excitement to playtime. 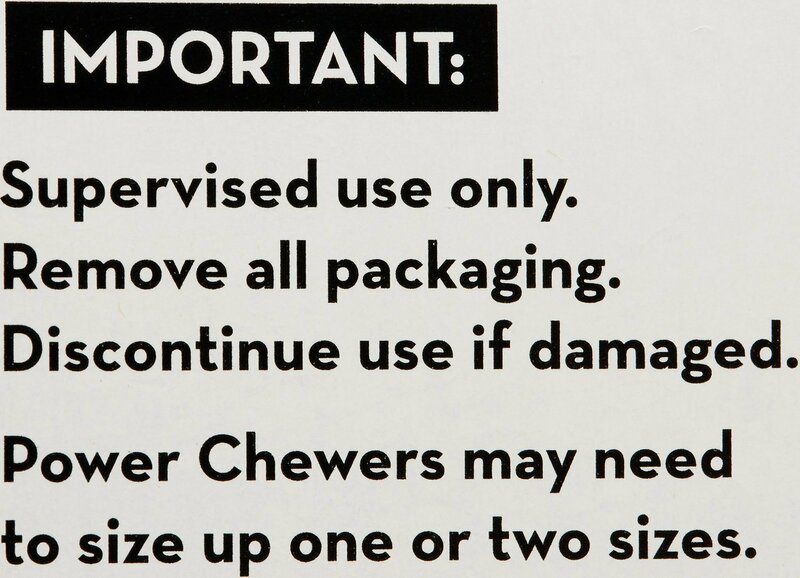 It was designed with power chewers in mind for extended chew sessions. 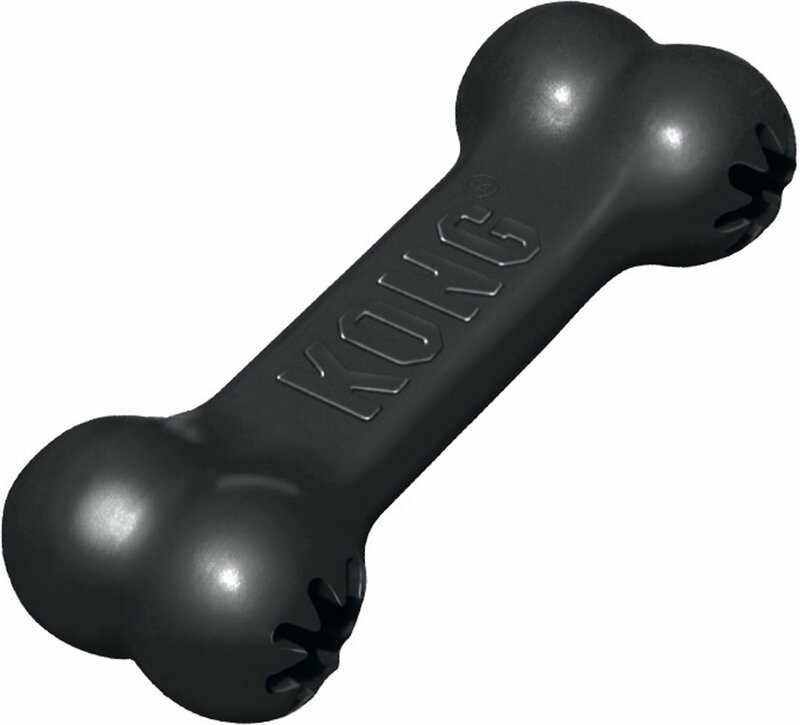 Keep your pup occupied and happy with KONG Extreme Goodie Bone Dog Toy. 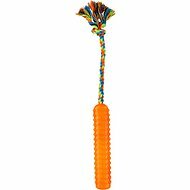 Interactive toy with two Goodie Grippers to fill with kibble, treats or peanut butter. Made with a durable, all-natural black rubber formula. Designed for power chewers for long-lasting fun. This is a great product DO NOT let the lesser stars reviews fool you with their ignorance. I’ve bought this product for years, I have a pit bull and a black lab mix as well as multiple foster dogs including a Doberman. Not one of these dogs has ever destroyed this product in a matter of days my own dogs have had theirs for over two years and the ends are just now starting to break apart. There is an XL version of this toy and that’s what we use. You HAVE to go a size up. I’ve used the large one for smaller dogs with no issues. I’ve never had a KONG toy disappoint me or my dogs. Research before you buy. I have absolutely nothing against this chew bone, but I thought I was buying the same size I had bought a couple of years ago. WRONG ! This thing is gigantic and heavy. I throw the old Kong bone for my dog to fetch. This one would knock his teeth out if he tried to catch it or knock his brains out if it happened to hit him. With that said, it will remain just a chew toy not one to fetch. His old one has lasted through 3 years of chewing and throwing. I have been buying Kong products for over a decade. I've known for some time that when the black rubber ones are used, they're close to being indestructible, with the exception being if a giant breed gets into it. Well, I bought this item for my 9 month old Giant Schnauzer. She's chewing a lot these days. To my surprise, she had one end of the bone into little small pieces. I was shocked. We have a few different large breeds and this bone has been a great addition to their toys/chews. Most toys, even ones that say they are for heavy duty for extreme chewers never last more than a week, but this one has held up for a few weeks now without even a dent in the material. We have Kong extreme chewer balls that we’ve had for a few years and I am sure this bone will hold up the same as the ball has. I purchased two for my dogs based on good experiences with Kong extreme products. My 54 lbs pitbull broke one in half and the other split at the knurled end in just two days. My other dog is 42lbs and a jack Russell mix, he hasn't broken it so far in over a week. In conclusion this product is probably best for small to medium breeds and not for true "power chewers". Great toy for the EXTREME CHEWER!! My dog chews up every toy he gets! But, this one... this one has lasted us 4 days and I’m already shocked that it’s not torn to pieces! It’s still in tack with not even a bite mark on it. And he is notorious for chewing up his chew toys in seconds. He had a nylabone pastic chew toy and had it shredded in minutes. 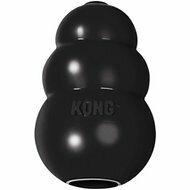 I highly recommend the black Kong toys because they are well worth the money and excellent for the EXTREME CHEWER. I bought this for my five year old lab/beagle mix to chew on instead of harder "bones" that she seems to gouge and then proceed to cut her mouth and gums on, but the material isn't quite firm enough for her to enjoy it. She does enjoy the toy when I put treats in the ends, but because she is on a specialty diet, the treats have to be cut to fit the ends, which is a little more work than I typically undertake, since the hard treats then tend to fall out easily. This would really be a great toy if the rubber were infused with flavor/scent like the harder bones she prefers, but this does at least stand up to her power chewing. This seemed to work well when I put treats in the ends as intended and gave it to my 10 month old, 60lb., goldendoodle puppy. I was a bit worried about him chewing up the flexible ends where the treats go. Well, I didn't need to worry about it long, because once the treats were gone, my puppy chewed it right in half. That said, the original shape Extreme Kong seems to be holding up.